Billy Graham passed away on the 21st of this month (February 2018). Since his death, countless people have turned to their platforms/facebook pages to share about his life, ministry, and impact on the world. I’d like to add to this anthem and share something that Billy said that truly impacted me personally and changed my life forever. Greta Van Susteren interviewed Mr. Graham when he was 92 on November 7th, 2011. When I saw this interview, Billy said something so small (almost said in passing). It was seemingly insignificant, but to me it was colossal. It was everything. I was immediately gripped and apprehended by this single statement Billy made when answering Greta’s question. Greta had asked, “If you were to do things over again, would you do it differently?” Here’s a man who is known as the greatest preacher in evangelical history especially of the 20th century. He’s preached live to 215 million people across 185 countries and touched hundreds of millions more through television, radio, and videos. He’s served as the spiritual advisor and provided spiritual counsel for every President from Harry Truman—Barrack Obama. He also met countless other world/global leaders. In addition, his message was so relevant, it impacted nearly every aspect of life/culture. For example, he impacted music (Johnny Cash) so much that the Rolling Stones published a tribute article about him. I’m sure he impacted international policy, economic reform, education bills, and more! As a young minister, I hope to impact the world around me. I want every man, woman, and child on the planet to know the boundless love of Jesus. I want humanity to feel God’s peace, comfort, freedom, and joy! I want every heart to authentically encounter the limitless ecstasies available in union with God. As one who desperately wants to reach the world, these words spoke to me so deeply. 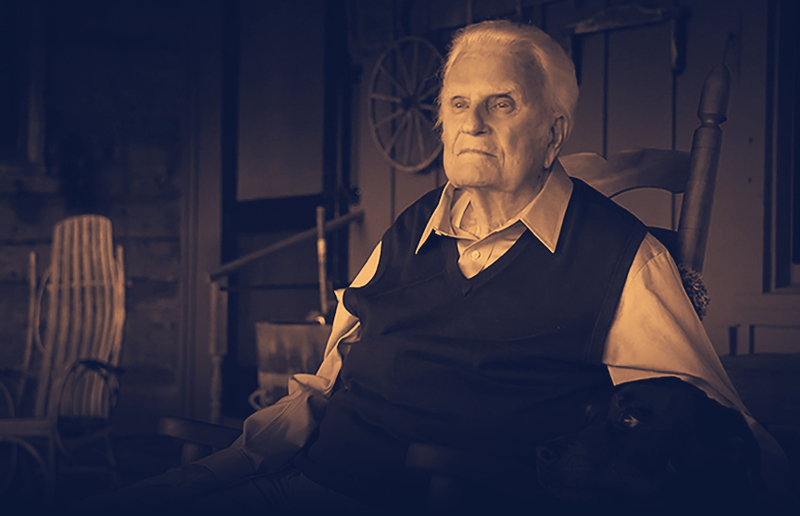 Towards the end of Billy Graham’s life, he said he would take more time simply telling God how much he loved and adored him. This was a great reminder to me that the search for meaning and significance finds its beginning and end in the face of Jesus Christ. For it’s in intimacy with Him, we discover all of life. Nothing else makes sense if it’s not anchored in a love relationship with Him. Ministry or life can never become about our reach or our successes. We cannot afford to slowly let our vision of having an impact supersede the importance of just sitting with Jesus. Nothing is more important than just enjoying God for the sake of enjoying Him. As I reflect on a man who so clearly changed the world, I will always remember those words and I’ll let them remind me of what’s truly important.